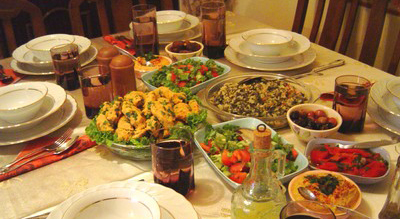 Foreigner integration program created by Caritas hosted an arabic dinner event in Vilnius. During dinner we were introduced with one of the religiuos observances of Ramadan – the Iftar. It’s a meal at the end of the day’s fast when people gather to break their fast together right after Maghrib – time which is around sunset. Around the world every country has their own wide variety of traditions and prepared foods. TRY team would like to thank Caritas for the opportunity to get to know and feel the traditions of Ramadan. It is a great way of bringing people together and building the sense of community.